Worcestershire has a good range of group accommodation set in The Malvern Hills all ideal for walking groups and activity breaks as well as large holiday accommodation in other rural locations in Worcestershire. Search Group Accommodation for our wide selection of large properties in this attractive Border county all sleeping 10+, offering the ideal place to stay for large groups. Rent a manor house for a big family get-together, a reunion, or a party weekend. 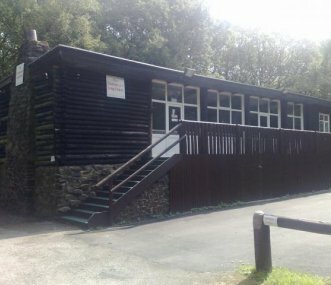 Book a large residential centre for an activity trip or educational visit away. Our holiday rentals in Worcestershire are set amidst rolling hills, offering great venues for a peaceful short break or a more active break away from the city. 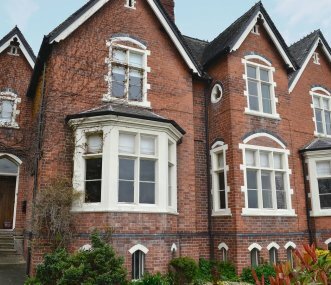 Burleigh house is a large 6 bedroomed Victorian house on the outskirts of Tenbury Wells which lies on the borders of Worcestershire, Herefordshire and Shropshire. Sleeps up to 13. Dogs welcome. 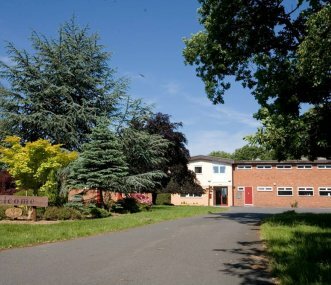 Located in the beautiful Wyre Forest countryside on a working family farm. Ideal for activity breaks, exploring the local area or just relaxing. Great for family gatherings, reunions and other groups. 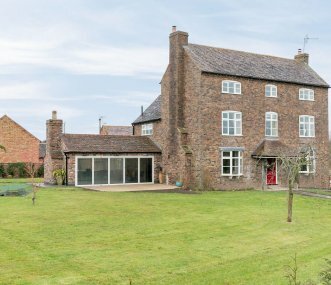 Home Farmhouse is a Beautiful Grade 11 listed House offering spacious, period Accommodation. Large gardens. Additional cottage. Perfect property for Milestone Celebrations and Family Reunions. If you live in a city the countryside can seem a world away. A week end or week at our Log Cabin is a natural setting for you to enjoy yourselves whilst learning about different life styles. Great self-catering accommodation for youth groups. 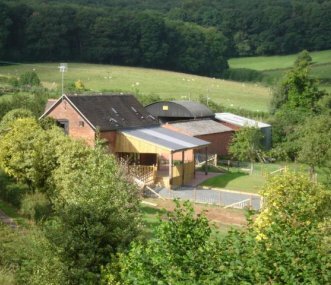 Main centre building, 'glamping' pods, onsite cottage and offsite remote bunkhouse deep in the heart of the forest. Use our large holiday rentals for a group booking if you are visiting one of the 200 events held at The Showground, Malvern – many of the properties lend themselves to a club booking. Cricket enthusiasts will be attracted to Worcester by Worcestershire’s County Cricket ground whilst car enthusiasts can enjoy a visit to Shelsey Walsh – the oldest motor sport venue in continuous use in the world. Book one of our group accommodation venues in Worcestershire for a walking weekend away and enjoy The Malvern Hills which overlook some of the most spectacular views in the Midlands and have routes for both beginners and the more experienced walkers. The entire length of the Hills is open to the public and is criss-crossed with about 160km (100 miles) of bridleways and footpaths. Whether you are looking for a venue for a stag weekend, hen trip, family celebration or simply a short break or holiday away browse our choice of large holiday accommodation in Worcestershire. Searching for group accommodation does not need to be stressful. We take all of the hassle out of booking accommodation for large groups by providing an easy-to-use website that brings together the very best large holiday accommodation in Worcestershire for you to choose from, according to your own set of criteria.